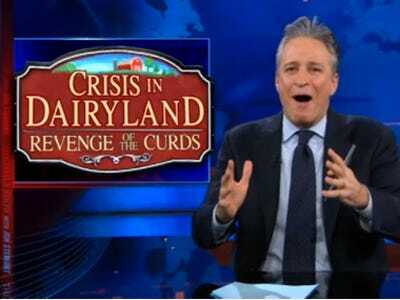 JON STEWART: Wisconsin Protests Are NOT Like Cairo, Or 9/11...They're The Bizarro Tea Party! There were few places where the Tea Party had a bigger sweep than in Wisconsin. Voters tossed out a three-term progressive Democrat from the Senate, overturned Democrat majorities in the House, and elected Republican governor Scott Walker. So what happened? You would think that the Tea Party loved protests and Americans that took to the streets. How is it that Fox News hates the protestors and loves the Tea Party, but MSNBC hates the Tea Party and loves the protestors?